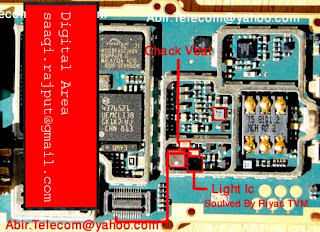 LCD backlight problem on the Nokia 1650 is often caused by damage to the hardware, in this case the circuit is broken at the PCB board. To fix it, we can see the schematic diagram to find a circuit that is disconnected. 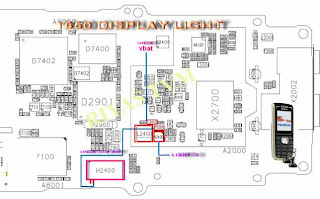 Apart from being disconnected due to the circuit, the LCD light problem can also be caused by damage to the lamp driver. 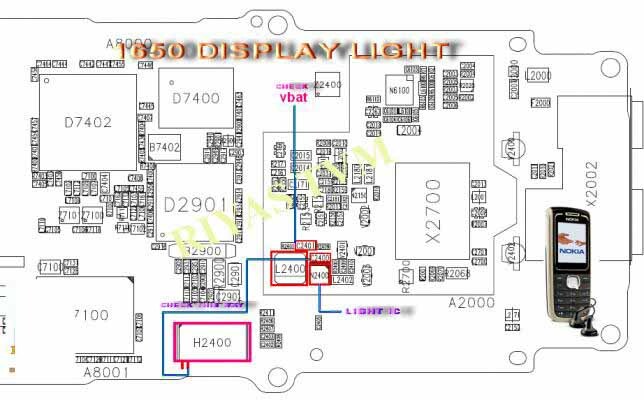 Here we present some images related to the problem of the LCD lights on the Nokia 1650. Nokia C1-01 charging problem can be solved by removing some charging parts like shown by the picture help below.